Good Afternoon and here we are again in beautiful Naples. Summer has not decided to take a vacation and hand over to Autumn yet as it was a very hot and sultry day with temperatures in the 90s again.We arrived as planned and as usual there was the normal wake up call from the bridge at 7 am telling me that the mechanical gangway provided by the Port Authority was “nota workinga,” said there in perfect Italian I might add. This meant a change to the operation and I quickly gathered the staff and the Shore Excursion team as we planned to use deck 0 for the 1,800 on tour as well as the rest of the guests. Anyway, by 7:20 am the plan was ready for the first tour to leave at 7:30 am and for the guests not on a tour to also leave. Then………………..the phone rings ……………….”wea hava fixhed the gangwaya and youa nowa cana usa the decka threea gangwaya, doa nota usea decka 0″ …………………………….I said ” “S*!^A” and we changed everything back to normal. 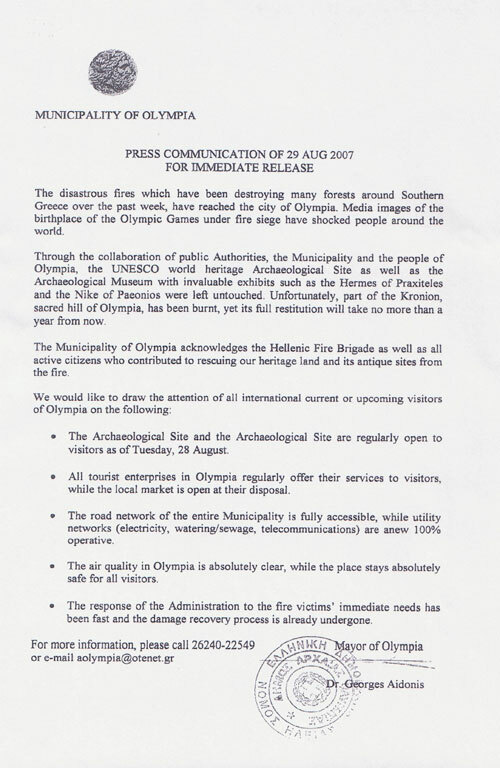 On a more serious note I wanted you to see the official notice I received from the Greek Authorities regarding the recent fires. They are stating that everything is now open and that……..tell you what, rather than me tell you, have a read yourself. This cruise has broken a record and it is a good one………..we only have 31 missing bags which is half of the figure from last week, I wonder if this has something to do with the peak vacation period being over and now as we move into September maybe things will get even better. OK, the engines are on and we are away. The next stop is the island of Rhodes with a sea day of course tomorrow. Oh, I just spoke to Frank C (blogger) who shipped 24 cans of diet root beer to Italy for me…………how fantastic and I just drank a can and of course not having had soda of any kind for so long the effects have transported me to the home for hounds. Heidi just said “I don’t know why I married you, if its not one end it’s the other with you”………..my dad taught me well. One serious note. I have seen a few postings on the blog and on the message boards about a group that sailed on the Carnival Liberty that allegedly misbehaved. 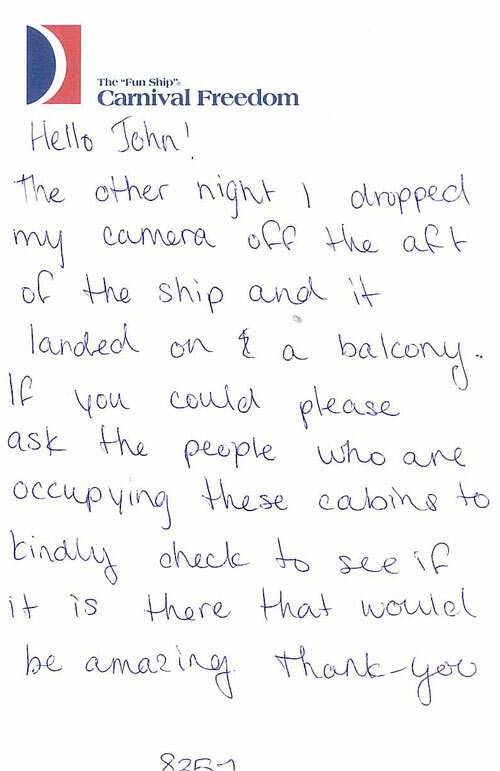 I do not know the details but I can assure you that inappropriate behaviour is not tolerated on our ships and I know a full investigation is underway to find out what happened. We had a quite a sight this morning in the main theatre, the Victoriana Lounge. When Heidi arrived at 7 am to prepare everything she found a group of approx 20 guests from Hong Kong had let themselves in the lounge and were on the stage all performing…………..no, that’s not the right word………..I can’t think of the right word…………anyway…….doing Chai Tea, you know the one were you move your arms around a lot. Anyway, Heidi asked if they were going to finish by 7:15 am as we needed the lounge. They did finish and we have now arranged for them to have an area on the ship to practice their Chai Tea everyday. 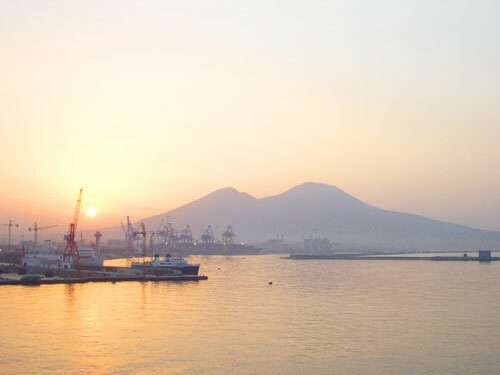 Here are today’s photos all featuring the volcano of Vesuvius at sunrise (Heidi wants the world to know she was up at 6:50 am) and just before Sunset and one of Naples taken from the bow. On we go with the Q and A………….I am really behind today, so please may I ask your kind permission to answer just the ones with specific questions on today’s blog. I promise to reply to every comment again tomorrow but at this time I have 67 on my desk and I really need to catch up. Therefore, just today, I hope you will understand I will answer just the specific questions. As always, I thank you so very much for taking the time to post the comments, please do not stop as normal service will be resumed tomorrow. The first questions are the remaining ones from We are Family…………I am three blogs behind………my two fingers really are not happy……………here we go then. MAURO MOSCARDINO – I did indeed make your Supper Club reservation and you asked what I recommend. Now that is a hard question to answer as I don’t know your likes and dislikes. However, taking into consideration that you are hopefully like me someone who loves great food ……….here is my choice. LOIS GRABA SPOTTEDDICKFORJOHNSKI – I have no doubt that Customs have much better things to do than see if anyone is sending in old fashioned British Dessert, so yes please……….I deserve a treat. Thank you for thinking of me Lois and all the best. SOUTHERN DREAMS – No need to thank me or for that matter the bloggers as all of us are united in wishing you health and happiness. You continue to be in our thoughts. BARB FROM MINNESOTA – I did indeed listen to the CD and it was beautiful and inspirational………..many, many thanks. I passed your best wishes as requested to Demetru and Jose and they were very happy that you remembered them. 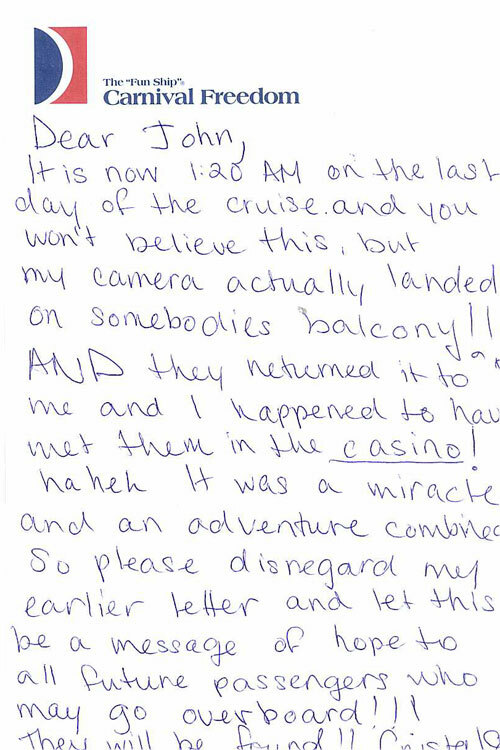 I hope you have continuing happy memories of the cruise and maybe we can make new ones together soon. Hope the summer is still with you and all the best. ESMEE K – Hello and many thanks for the lessons in Southern talking. All I need now is a recipe for grits and I am all set to go. Thank you for taking the time to write and I wish ya’ll the best. LYNN AND MIKE SAGARA – It’s funny that you should mention this blog and all the comments about Costa Maya somehow finding there way to the Costa Maya people. I also think that’s a great idea and have asked Roger Blum to forward this to our Vice President of Caribbean Relations, Mr. Gordon Buck and he will forward them on to the terrific folks who need all the positive reinforcement they can get right now. Thank you for the suggestion and also for your support of the On Deck for the Cure Charity Walks. BRYAN – You asked about the tour to the Nou Camp, the home of F.C. Barcelona. 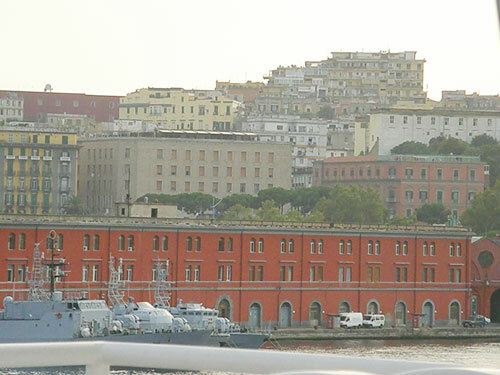 This tour is offered to all guests through the ship. It gives you unlimited access to the changing rooms, the stadium, the trophy room and a walk onto the pitch. It is a must for all football fans, the word “soccer” is not allowed. Thank you also for your kind words for Mr. Horner and you are correct, the alliance between the U.S.A. and the U.K. is very special. Wishing you and your family all the best. 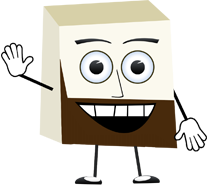 MEGHAN E – Hello Meghan and thank you for slapping on a posting. For someone so young, you have been on a lot of cruises and we thank you for your continued support of Carnival. 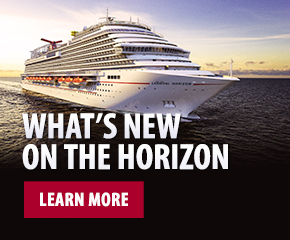 You asked about the Carnival Legend and at what ports they will be calling at. You are correct to say that Costa Maya is unfortunately in a devastated state and it will be some time before you are able to visit there again. Therefore, the Carnival Legend will be calling at Isla Roatan instead of Costa Maya. Luckily, Belize is OK and you will call there as planned. If you have any questions about Isla Roatan or the rest of your cruise, please let me know and I think, as your friends call you a Travel Agent, maybe you should consider being one. 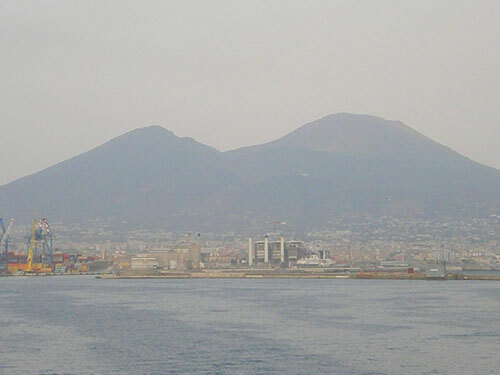 KATHIE – I see you asked if I spoke to the young lad who fell at Mount Etna and whose parents wrote me the letter that I posted on a previous blog. As you will remember, he was pretty banged up and he was worried that everyone would laugh at his scars. I spoke to him on the Morning Show live and arranged for him to come to our Club O2 for teens that night where everyone made a big fuss of him. He ended up being a hero and it was great to see. Thank you for your concern and all the best. LALA – Thank you for your wonderful posting and nobody deserves a vacation cruise more than your boyfriend who has been serving his country so proudly. I am sure you will have a wonderful time on your Christmas cruise and I am sure, like you, the sound of the flushing toilet will send him running out of the cabin looking for his lifejacket. Thank you for taking the time to post and to answer your question, yes, I am still enjoying writing the blog and will continue to do so as long as my friends like you keep reading. We now move to some of the 43 questions and comments from the blog featuring the Carnival Ecstasy, again, I apologize that I do not have the time this evening to answer every comment………..please forgive me. CAROL SCHOENBERGER – Hello Carol. You asked me who David the Drinks Ninja is in the child’s drawing. David is from Indonesia and is a black belt something rather and was talking to the young lad who is also studying karate, kun fu or something like that. He became a bit of a hero to the kid and therefore he drew a picture of him, which was fantastic. Thank you for all your kind comments, I am sorry I don’t have time to reply to them all but I would be especially grateful if you tell me what you think of my mum’s Chicken Curry. All the best. MYRA BUSHNELL – Costa Maya is, as you know, non-operational and it looks like it will be for some time. You asked me which port the Carnival Glory will be sailing to instead. The answer is Progresso, which is another fantastic Mexican port. Have a look on our website http://johnheald.wordpress.com/wp-admin/www.carnival.com for all the tour information and if you have any questions, please let me know. We continue to think of the people of Costa Maya and I am sure it will return as a fabulous port of call one day soon. All the best, thanks for reading the blog thingy. MONICA WINKLER – I just had to quickly say how much I laughed when I heard that you and your family use some of my “catchphrases” around the house, Heidi says I have started a cult. It will be great to see you again in October for your back-to-back cruise and may I ask that you leave me a note when you are on board and I will make sure your birthday wish here is a special one. TERRI – Thank you for the English lesson and now, if I ever mess up my Heidi and I or Heidi and me sentences I want you to please correct me. I appreciate you taking the time for this posting, the only problem is, I am trying to explain it to Heidi and she said, “I already knew that,” and she is Dutch. I need to go back to school. Thanks Terri, see you soon. JOHN AND SUSAN IN FRISCO – I have stolen your sign which is now hanging on my door. Many thanks. BIG ED – Just a quick note to say I have more chance of getting a pretzel than an Aston Martin however either would be nice. I love writing the blog and the only reward I need is to know that people continue to appreciate it. Thank mate and thanks again for asking the bloggers to vote for me. TOM AND JANE – I had no idea I was in the Carnival Currents magazine to answer your question so thank you for letting me know. Since the blog started I seem to have been interviewed and written about in a lot of press articles and it is hard to keep up with them all. I know that sounds blasé and I don’t mean it to but the last five months seems to have flown by. Anyway, thanks for the article and I my best to you and Mr Mean………..is he really that bad? LFTTNSFCF – You asked if CZJ and AJ would be on the TA cruise …………..only if you dress up as one of them for Halloween. I can see you as AJ actually, we just need to put a bit of botox in your lips. What would Mrs. MTSFP say about that? TIM KRIEBEL – Tim, you asked if I would be the Cruise Director on your Freedom 11/24/07 cruise and the answer is, I don’t know just yet. I have been out here 7 months already with only 1 day off and although it is my attention to try and be here I have to see how long I can do onboard before it effects my ability to be the best CD I can be. I promise to keep you updated and regardless I know you will have a great time onboard with my friends from Cruise Critic. All the best Sir. MARK TWAIN AND A HALF – You asked about my Mum’s chicken curry recipe and yes Curry Powder is the same as Curry paste so you can indeed use that. Will you let me know how it turns out please? Welcome back and I hope you enjoy catching up on the blog thingies. CRUISIN SUE – yes, the man eating the Pretzel was indeed Carnival Corporation & plc Chairman Micky Arison, the same Micky Arison you said you met a few years ago in Miami. My friend Marsha spotted him and asked him to pose for a photo which I am sure he has no idea is now on my little thingy. See you soon Sue…….that’s hard to say. BILL ZYDECOCRUISER – Your question, does Heidi like to dance caused me to smile because yes she does and I….well let’s just say my love of dancing is the same love I have for Fatima and her plastic tube. This of course leads to many disagreements and phrases such as “Oh John, be more romantic” and “everyone else is dancing, why can’t you?” I wish I could come on the Zydeco cruise, that would be a lot of fun but as yet, my schedule is unclear for next year. I hope the chicken curry works for you and next up will be the sticky toffee pudding and maybe my Mum’s famous “Nutty.” Hope all is well mate. GURNSEYGUY – How I wish we could call at Gurnsey mate. That would be just smashing. I certainly will add it to my list of wishes the next time we discuss new ports of call. Now, your question was that are other CD’s tempted to write blogs. Personally, I think they should but it does take up a lot of time. However, it is really an excellent way of providing guests with inside information as well as answering questions and comments………………so yes,. I hope someone tries it soon. My best to you in Gurnsey mate and I hope one day you may see a Carnival Corporation ship in the harbour. I will stop there. I promise tomorrows Q and A will as usual answer every comment. 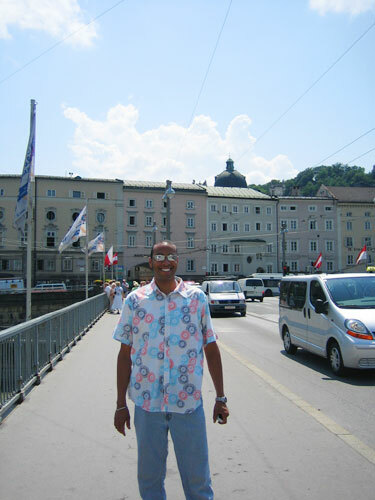 Here is today’s interview featuring one more of our Cruise Directors Malcolm in the Middle as he is known aboard the soon to be sailing from San Juan (hello Nanette) Carnival Victory. Here he is. 1. Please can you tell us about your career with Carnival so far? How did you start and when? I started with Carnival January 12, 2000 as a Social Host. I was an Executive Recruiter (Head Hunter) working for a retained firm in Tampa. It was the end of 1999 I wanted to start new for 2000, I could not take the 9 to 5 office hours anymore. I happened to be watching a Carnival Cruise Lines commercial, and an idea popped in my head. I sent in my resume, and then ventured out into the cruise industry to see what it would be like to work out on a cruise ship. I started with Carnival so I could travel, see the islands, and meet as many people as I could. 2. What ship are you currently on and what is its itinerary? At the end of my very first contract I brought out the Carnival Victory on her inaugural cruise. I am happy to say after all these years of working with Carnival and climbing up the ladder, I have found my way back to her and currently sail out of my home city New York. During the summer season the Carnival Victory sails from her normal Itinerary out of Miami, which is Eastern & Western (San Juan, Saint Thomas, Saint Maarten) & (Grand Cayman, Jamaica, Costa Maya). We set sail for New York at the end of May, with some stops on the way up. Sailing out of Miami with no guests, are first stop is Charleston for a 5 day cruise out of Charleston to (Nassau Bahamas & Freeport). We head back to Charleston, drop of those guests, and then head to Norfolk Virginia for 2 cruises. Our first cruise is a 6-day cruise from Norfolk to (Nassau Bahamas & Freeport), then returning for a 2-day cruise to nowhere. After two-day we head up to the great city of New York to begin our 4 & 5 days cruises to New England Canada. Our 4 day Itinerary is a cruise to Saint John with 2 sea days (New York, Sea Day, Saint John New Brunswick till 6 pm, and the final Sea Day) Our 5 day Itinerary is to Saint John, New Brunswick & Halifax, Nova Scotia ( New Scotland). (New York, Sea Day, Saint John till 4 pm, Halifax till 6 pm, Sea Day, New York). This 4 and 5 day will continue till the end of August, when September arrives we then being with our 7-day cruises on Sept 8. This 7-day cruise starts Saturday September 8, and heads to Saint John & Halifax with the additional ports of Boston and Portland. The Itinerary is as follows (New York, Boston till 9 pm, Portland till 6 pm, Saint John till 8 pm, Sea Day, Halifax till 6 pm, Sea Day). We continue this 7-day Itinerary out of New York till the Beginning of October and then head back down to Miami. We again stop at Norfolk & Charleston with the short Caribbean cruises before we head back to begin once again our Eastern & Western cruises. San Juan – Bioluminescence Bay Kayak Tour – This is a tour not to be missed. The water has these bioluminescent organisms you have never seen before. One of the most interesting tours I have been on. Night Horseback Adventure – Horseback riding at night is a completely different experience, and then the campfire and all is a great way to escape. It’s as if I was out camping for the night. St. Maarten – Americas Cup Regatta – One of the best tours I have ever taken, you just jump in and start racing actual 12-meter race boats. Rhino Rider – It’s very cool to jump into the 10-foot boats and head through the harbour to view luxury Yachts, then after an isolated lagoon to swim and snorkel. St. Thomas – Coral World – Amazing to see so much marine life up close. Sea Blaster – The best and fastest speedboat I have ever been on, with lots of partying. Woo Hoo! Costa Maya – Kohunlich Mayan Ruins – What can I say! Ruins are the best to see. Off Road Jeep – Great way to have an adventure for the day, I love jeep tours, especially with time to relax on the beach with activities. Grand Cayman – Sea Trek Helmet Dive – The best way to have an adventure under water without being certified, lots of fish and coral. Stingray City – I love swimming with the Stingrays, I never thought I would have the chance to swim with stingrays. Ocho Rios – Chukka Cove Canopy Tour – I used to love sliding on the clothes line in New York, but this is awesome, being so high in the trees. The last one is especially the best, from the mountaintop, to the bottom of the valley! Dolphin – This is one of the best tours, all celebrities have stopped at this location to swim with these Dolphins! It’s the best, an experience I will never forget. Nassau – Catamaran Snorkel – I love to sea as much marine life as I can. Discover Atlantis – This is the grandest hotel I have ever seen in my life. No wonder it’s the biggest rave around the world. Freeport – Jeep Adventure – What can I say, I love jeep tours. It’s fewer crowds, and it’s like renting your own car with a guide provided to see the Island. Freeport Island tour – This was very informative, and really enjoyed it. I really wanted to go out on the Dolphin tour, but it’s always sold out. So I ventured around the Island instead. Saint John – Saint John Highlights – You see everything Saint John has to over, and the amazing reversing tides. 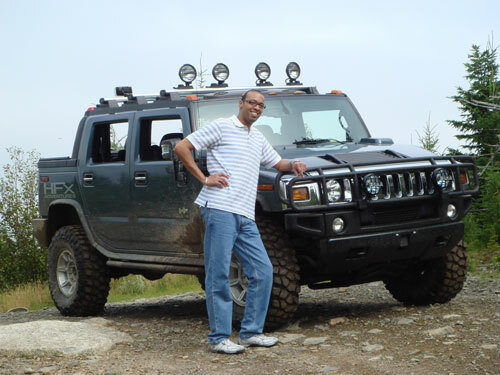 Halifax – Back Road Hummer Adventure – One of the coolest tours I have been on. This tour is VERY exclusive and takes you to some great sites. I also have never seen what a Hummer could really do until now. Peggy’s Cove – A great experience to really get out and see fishing villages, and lighthouses. Horseback Adventure – Awesome tours, love riding. Boston – Highlights – If you are ever unsure at what tour to take, highlight tours cover everything. It’s the best way to see Boston in the amount of time you have, especially when you want to venture out on your own after. Historic Salem & Witch Museum – What can I say, I love to hear about the dark past side too! Portland – Mt. Washington & The Cog Railway – This is a cool tour, I really enjoyed the great views on this tour. Portland Highlights & Victoria Mansion – Great history and lots to see. 4. What are your favorite activities or events that you host and why? The Welcome Aboard – I love to get everyone all excited about the cruise. It’s the one show where you meet your crowd, and I’m always nervous. The Hairy chest is fun, people acting really wild and crazy. People are naturally funny. I love the Newlywed game for obvious reasons, people love to share everything. The debark talk is also fun; it’s a great way to have fun for a while and add comedy as well. 5. Fill in the blank please……………..People should sail on Carnival Victory because her ports are different from most of the Carnival ships, and New York is one of the best ports to sail from! Who wouldn’t want to see one of the hottest cities in the world? Starting your cruise by passing by the Statue of Liberty, Ellis Island and Downtown Manhattan to begin an awesome cruise. Even out of the Caribbean cruises, very few Carnival Ships can enjoy the great Itinerary the Carnival Victory has. 6. What do you enjoy most about being a Cruise Director? I love to make people laugh. I love making a difference, and have learned so much from Musicians and Dancers and love being part of this team. Providing fun for the ship. 7. Share your favorite story with us that involve our guests and your job? Since I started with Carnival as a Social Host, I have met many guests on board. I have been with the company 7 years now, and at times I will walk around in any part of the states and my run into guests I have met. In airports and even in New York I hear Woo Hoo! Someone has found me! 10. Finally, if you could introduce on stage any star, alive or not who would it be and why? Charlie Chaplin – Hours of entertainment without a word being said. Thank you mate and I am sure that he and the crew of the Carnival Victory will enjoy sailing from San Juan. A few minutes ago I was answering a comment about all the interviews I have done and today was no exception. I am in the middle of completing an interview with a very esteemed reporter from the St. Petersburg Times, Mr. Bob Jenkins. He asked me a series of wonderful and challenging questions. I wanted to share a preview of one with you now. I’m guessing a lot of your job is supervising the younger cruise staff; when they are being hired and trained, what personality traits and personal experiences do you look for? Can you recall any of the younger ones getting stage fright while leading an activity? A wise man once taught me that a microphone should never change your personality and all it does it amplifies your voice. I have seen many young Entertainment Staff who are so talented when in a one on one situation but when they pick up the microphone their voice changes as does their personality and the false image they project is immediately visible. Therefore, I always look for someone who is simply themselves both on and off stage. I remember a young man who had to introduce two very important people on stage on the Imagination. The room was full of press and the event was being shown live on all the Miami stations. The young man came out and said, please would you welcome ………..and then dried up, he completely forgot the name of the first person he was supposed to introduce but luckily he was able to make a joke of it while he reached in his pocket and found the names. It was very embarrassing. Oh, by the way, the young man was me and I was introducing Mr. Micky Arison and the new coach of the Miami Heat basketball team……….Pat Riley………………thank goodness I was wearing brown pants. I really had to think about that question as luckily I don’t seem to suffer from nerves before a show although I am always nervous afterwards in the hope that people enjoyed it. Anyway, that time. Oh yes, I was nervous. I had never met Mr. Micky Arison personally before and here I was a young whipper-snapper introducing the most influential man in the industry. Then of course there was Coach Riley. Now, you have to understand that back then there was no satellite TV so the only basketball I had been exposed to was the Harlem Globetrotters (loved them by the way). However, I knew that this coach Pat Riley had joined the Heat team and that this was a big occasion………..and I messed it up. Afterwards, I was so mad at myself and I honestly thought that I was in for a “bollocking”……..a good telling off from someone but it never happened and my thoughts of packing my bags and flying home never materialized. In 2006, the Miami Heat won the championship and since my days of nearly introducing Coach Riley I have become a big basketball fan. I now know what a “pick on a roll” is and that you get a foul against you if you go “traveling” and most importantly I have learnt that you must hate the N.Y. Knicks!………….I don’t really but I am told you must. One day I hope to see another game and wouldn’t it be fabulous to interview Coach Riley………I know it’s a cruise blog but…….well……..at least I could say sorry I forgot your name. So, it is bedtime. Heidi just slapped on a blog. The welcome aboard show went well and I picked eight people and one of them, randomly was a blogger Jo Myerly. We had never met but I picked her anyway. The last words tonight though are from Chrissy. It has been a very difficult few days and I still cannot believe I have lost my father so young. He was full of life and energy, life is so unfair sometimes. I wanted to ask that you put this e mail on your blog. I have not read the comments myself, I just can’t bring myself to do so. Brad told me though that so many people who I don’t know and have never met have said such kind things and I want you to say thank you to them for me please by putting this on the blog. Brad and I were talking last night (we just cannot sleep) about the cruise and how far away it seems. Brad started talking about your Bedtime Tale and Mary and we both smiled just for a few moments. It is the Funeral tomorrow. Thank you John for being such a kind and thoughtful man and your phone call yesterday meant the world to Brad and I am sorry I was too upset to talk to you.